Father Christmas is in his Whitehall grotto right up until 24th December! 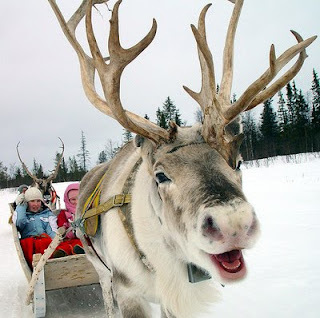 Come along and visit him and his Reindeer's Snowflake and Moonbeam. -Feed birds in the cold weather and do not allow ponds to freeze over. -Bring Bay trees under cover to shield them from the cold. -Shred prunings from plants, fruit trees and bushes. -Protect plants and pots from frost damage. -Bring in Christmas bulbs for flowering. Its that time of year again and at Whitehall we now have a fantastic selection of Scottish grown Christmas trees, Holly, Wreaths and Mistletoe. 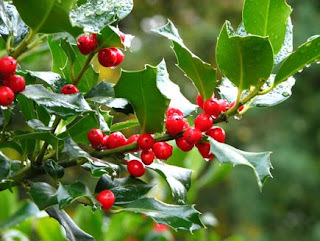 All of these festive plants can bring a christmassy feeling to your home and garden. 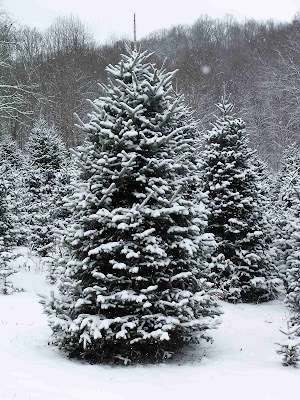 We also stock Christmas trees with roots that can be planted in the garden and enjoyed year after year. 1. Make sure your tree is planted away from the house as the roots grow to a large size and will uproot patio slabs and other parts of your garden and home. 2.Try and buy one that is no more that 3 feet tall as you want to get the most years out of it and the root will be better and easier to transplant. 3.Protect from pests such as Rabbits, Insects (Aphids in particular)and in extreme cases Deer. 4.When plating the tree make sure it is protected from wind and make sure the planting hole is the right depth. 5.Once planted try to shape and shear your tree to make it healthier.